New Delhi: The national selection committee is unlikely to make any experiment when they pick the squad for the T20I and ODI series against Australia on February 15 in Mumbai. The Selection committee will look at keeping the right balance as they would not only wish to give the senior guys ample rest before going into the showpiece event, but also wouldn’t want to give the Australians the upper hand in what will be the last series before the World Cup. 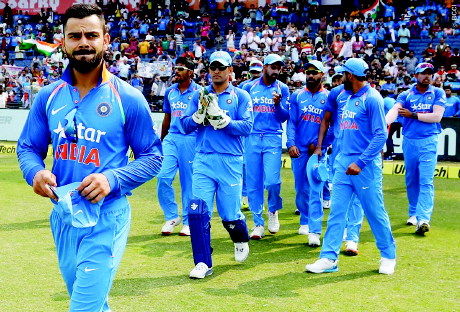 India has been playing incessantly overseas and the fast bowling wolf pack has had no real rest. “There is a possibility that Rohit Sharma may be rested for the two T20 Internationals as Virat Kohli will be back. But when it comes to selecting the ODI squad, there won’t be any experiments with only five matches to go,” a senior BCCI official privy to the team selection process told PTI on Tuesday. While Rishabh Pant is almost certain to get more game time, it will be interesting to see if someone like Ajinkya Rahane gets one last go to seal a place in the World Cup squad. In the bowling department too, Jasprit Bumrah is almost certain to make a comeback after a well-earned rest during the New Zealand series.